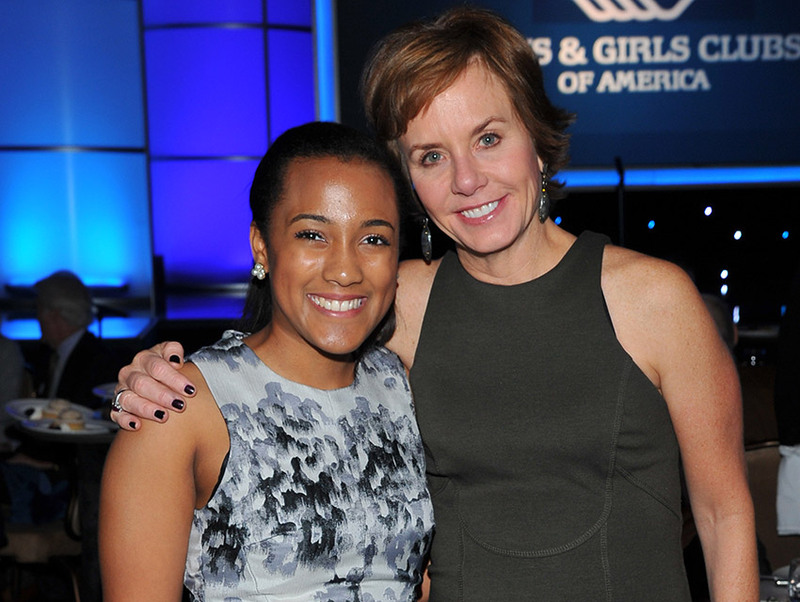 It’s possible that last night at the Boys & Girls Clubs of America’s Great Futures Gala I met a future President of the United States and a singer who will one day top the pop charts, both of whom are Boys & Girls Club alums. 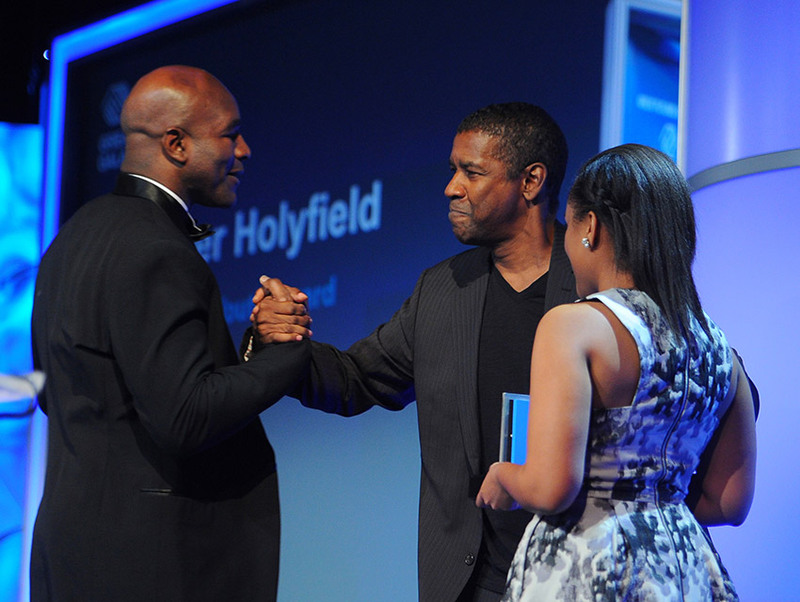 Denzel Washington made a rare appearance (the guy doesn’t go out much—but he made an exception as BGCA’s spokesperson) to give a Champion of Youth Award to another alum of the club, five-time world heavyweight champion Evander Holyfield. Holyfield noted how someone lending him some change actually set him on the path of his life the first time he stepped through the doors. “I started going to the Club at the age of six,” he began. “We walked three miles to the Club. We get there, they asked me if I was a member. I didn’t know what ‘a member’ means. All my friends signed in, and they went down and left me up there by myself. The lady looked at me—her name was Miss Harkin—she looked at me and she said, ‘You don’t have a quarter?’ And I said ‘No ma’am.’ And she turned around and she went into her bra and got her purse and came out with a quarter. One quarter. And she gave it to me. I stand here to tell you that it only took one quarter to give me the opportunity to be the person I am today.” Okay, try to have dry eyes after that one. Holyfield joined the boxing team at his local club and twenty years later became the heavyweight champion of the world. Actor/comedian JB Smoove proved a terrific emcee and auctioneer trying good-naturedly to get someone to outbid Washington when the actor bid $20,000 for a trip to Fiji. “I’ll take 20,000 and one cent!” Smoove said. Despite a lot of laughs, Washington took home the lot. There were many gaping mouths when singer Mya Shimizu took to the stage to perform a few songs. Let us be the first to say it: you will be seeing more of her in the years to come. But it was the last speaker, National Youth of the Year for 2015/2016 Whitney Stewart, who got the whole ballroom on their feet. Stewart expressed her goal to one day become President of the United States. After hearing her speak last night and seeing her effect on the crowd, she already has my vote.